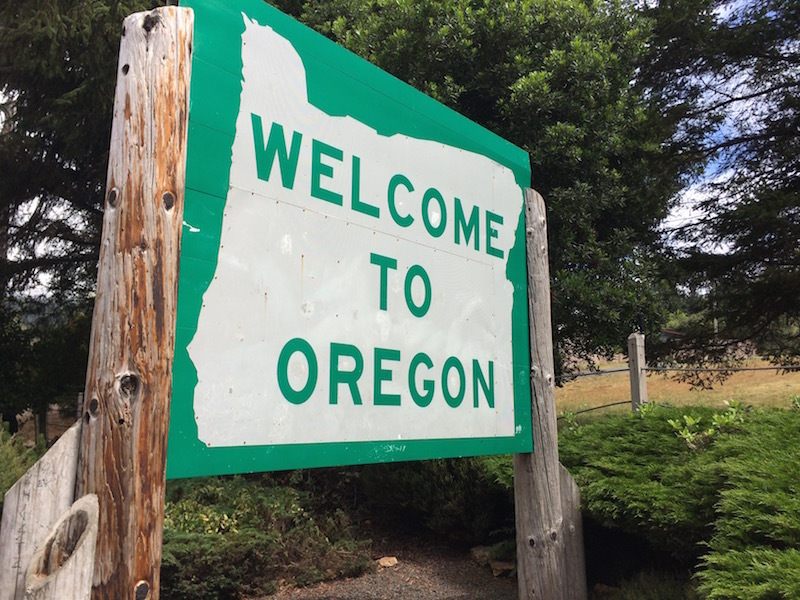 Presented with a full week to fully explore Washington state’s Olympic Peninsula, finding the the northwesternmost point in the contiguous United States consumed a full afternoon. Named by British Explorer James Cook in 1778, Cape Flattery lies at the mouth of the Straight of Juan De Fuca; a 96-mile-long body of water serving as the outlet of the Salish Sea into the Pacific Ocean. 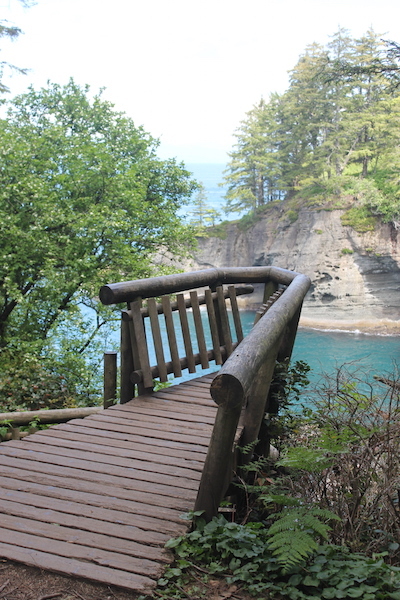 Contained within the Makah Reservation, a day pass is required to park in the lot at the head of a 0.75 mile trail leading visitors to the picturesque overlook of Tatoosh Island and the Fuca standing rock stacks. 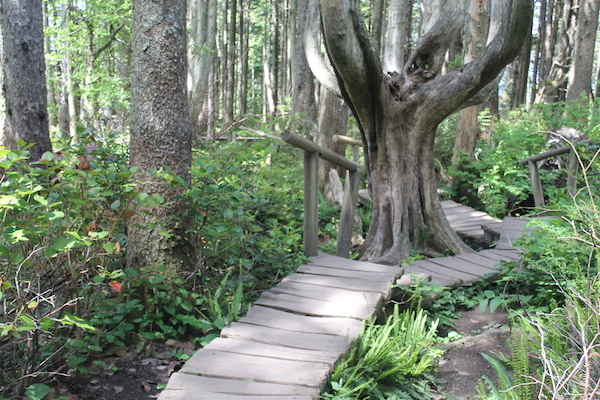 Note: The trail is composed of a combination of packed dirt, boardwalk, and wooden “stump” pavers. You can expect a sloped down-and-back hike that will require moderate exertion; this adventure would not be easily navigable for anyone in a wheelchair or a stroller. Parents of younger kids should be aware of steep cliffs and potentially treacherous terrain as you approach the wooden viewing platforms. Sweeping, panoramic views of a azure inlets, sea caves, basalt rock stacks, and wildlife sightings ranging from migratory whales to sea lions are your reward for making the journey out to the edge of Cape Flattery. 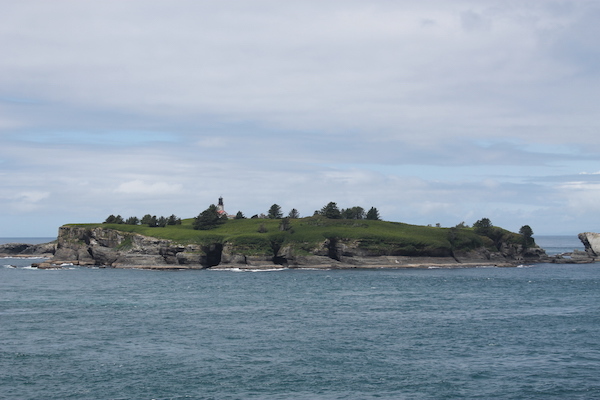 In clear weather, the lighthouse on Tatoosh Island should be easily visible. 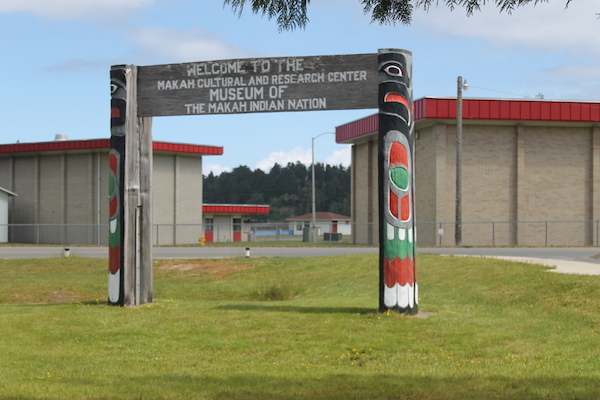 Time permitting, be sure to stop at the Museum of the Makah Indian Nation in the town of Neah Bay for an in depth understanding of the culture and commerce of a native american tribe heavily influenced by the ocean and trade with other tribes throughout Canada and the Pacific Northwest.